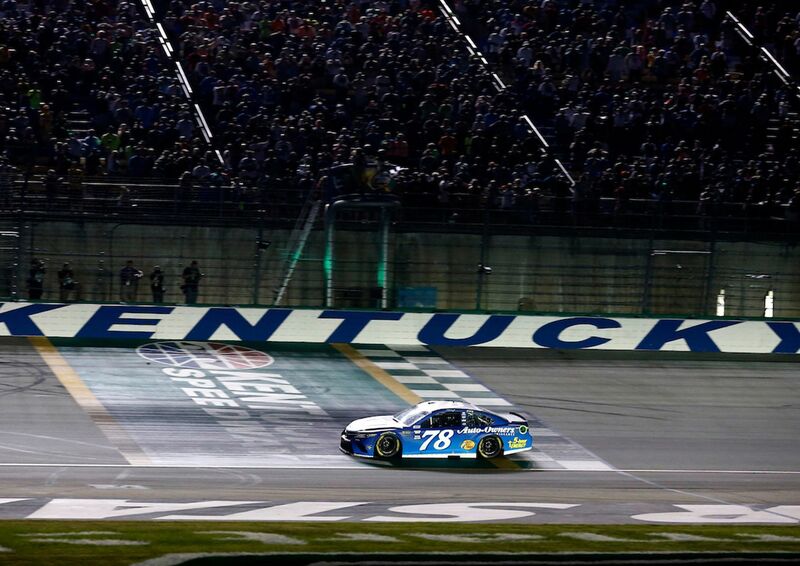 Camry driver Martin Truex Jr. scored his fourth Monster Energy NASCAR Cup Series win of the season at Kentucky Speedway on Saturday night to give Toyota 10 wins through 19 races in 2018. Truex led the field five times for a race-high 174 laps (of 267) and won the first two stages before taking the checkered flag and winning back-to-back wins at the Sparta, Kentucky, track. Truex started from the pole position for the Kentucky race, while his Toyota teammate Erik Jones, who finished seventh, started second. Camry driver Kyle Busch also tallied a top-10 finish at Kentucky with a result of fourth. In the NASCAR Xfinity Series, Camry driver Christopher Bell captured his second victory of the season when he won at Kentucky Speedway after starting from the rear of the field on Friday night. Through 17 races, Bell is tied for the series lead in wins and has accumulated 12 Playoff points. Three Tundra drivers placed inside the top-10 at Kentucky in the NASCAR Camping World Truck Series contest Thursday night with Brandon Jones (fourth), Todd Gilliland (seventh) and Noah Gragson (eighth) all having strong outings. Gilliland, who is vying for a Playoff spot with four races remaining in the regular season, is looking to have better finishes to his races. Toyota drivers swept the top-three positions in Saturday’s NASCAR K&N Pro Series East (NKNPSE) race at Thompson Speedway Motorsports Park with Tyler Ankrum capturing the win and Dillon Bassett and Tyler Dippel placing second and third, respectively. The win was Ankrum’s second of the year. He remains first in the NKNPSE standings and has finished top-10 or better in all eight races this season.